The mysterious cigar-shaped object, dubbed “Oumuamua”, soared past Earth last month. 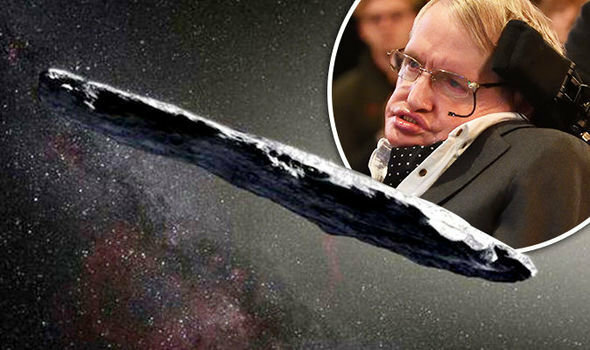 It travelled unimaginable distances at almost 200,000mp and now a scientific body, led by Mr Hawking, is trying to find out if the object is an alien probe or a previously unseen natural phenomenon. Breakthrough Listen, a £74 million search for intelligent alien life, is using the world’s largest manoeuvrable radio telescope at Green Bank in West Virginia to track the object. The experts are listening for electromagnetic signals which can’t be produced in nature. If found it would be the biggest sign that extraterrestrial intelligence could be involved. Astronomers spotted the strange object – the size of New York’s Empire State Building – through the Pan-STARR telescope in Hawaii on October 19. 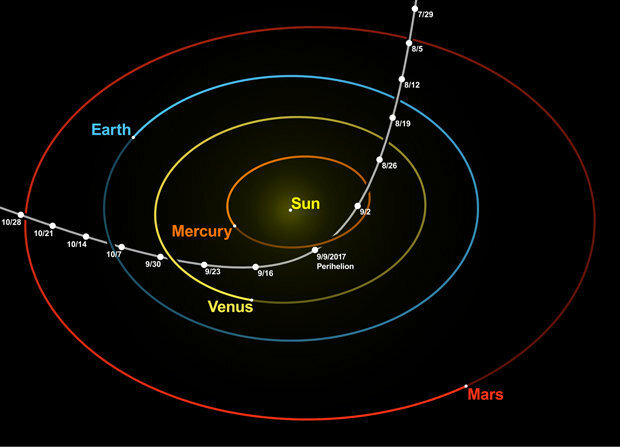 It is spinning on its axis every seven hours and is expected to zoom past Jupiter next year before Pluto in the 2020s. But researchers want to examine the object this week before it flies out of reach of telescopes.